Background / Introduction: Provide context to explain how your research fits within a bigger picture and what the larger impact of your research might be. This is not a reprint of your abstract. Methods: Take time to not only name your methods, but explain the mechanisms, processes, or theoretical approaches that you employ in your study. Data / Results: Report on any data / results your study has generated. These findings can be preliminary. Conclusion / Implications: Again, tie your research findings back to the larger context. What are the big-picture implications or potential impacts of your research findings? PLEASE NOTE: The less text there is on your poster or oral presentation slides, and the more images, graphs or other visuals you can use to demonstrate your ideas and points, the more successful your research presentation will be. Poster and oral presentations should be comprehensible to an educated, but non-discipline specific audience. As possible, use layman’s terms to concisely define and/or explain discipline specific terms and processes. 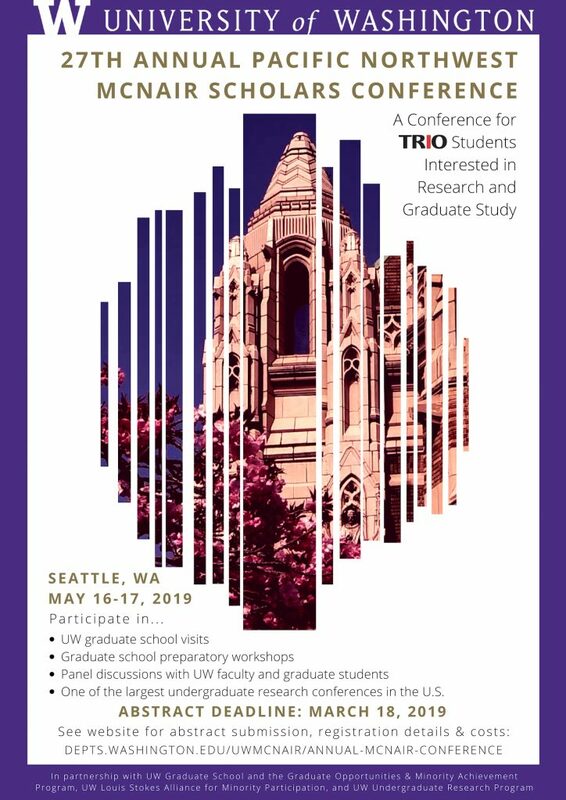 UW McNair Research and Graduate School Preparation Conference attendees will be presenting their research as part of the University of Washington Undergraduate Research Symposium. Posters presenters will present alongside UW Undergraduate Research Symposium participants. 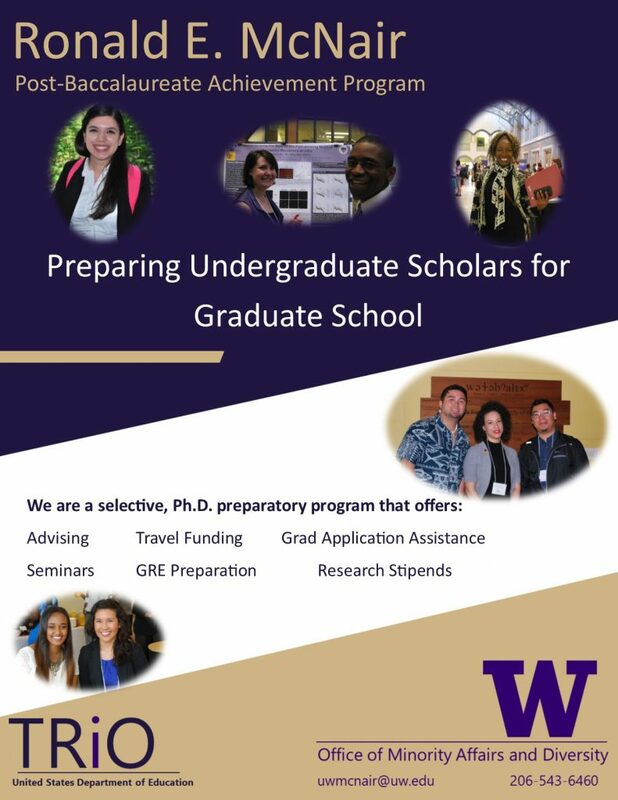 Oral presenters will present exclusively to UW McNair Research and Graduate School Preparation Conference attendees in addition to a UW Undergraduate Research Symposium session moderator. Poster and oral presentation session assignments will be provided to student presenters sometime in mid-April. Posters should include a statement of the idea investigated, a description of the method or approach used, findings or progress to date, and a summary. Size requirements for posters is 40″ wide x 32″ tall. Posters should not be free-standing. UT Austin has a useful guide to research posters with examples here. All you need to bring to the conference is your poster, rolled up and protected in a poster tube. We will provide easels, a foam core board, and binder clips. Oral presentations are 10 minutes in length followed by 2 minutes for question and answer. This time limit is strictly enforced. A computer with PowerPoint and sound capabilities will be available in all presentation rooms. Make sure your oral presentation is available both through a USB hard drive stick AND through online cloud or e-mail storage to ensure that your oral presentation is accessible.